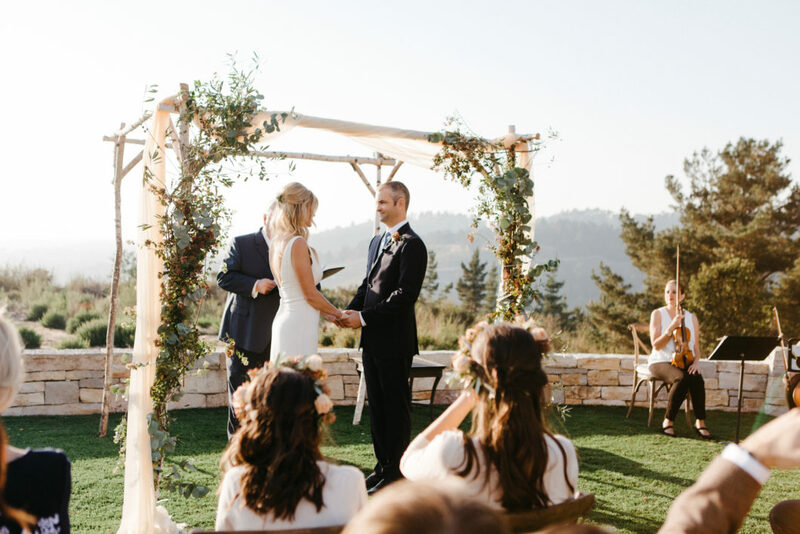 We love to do elopements! 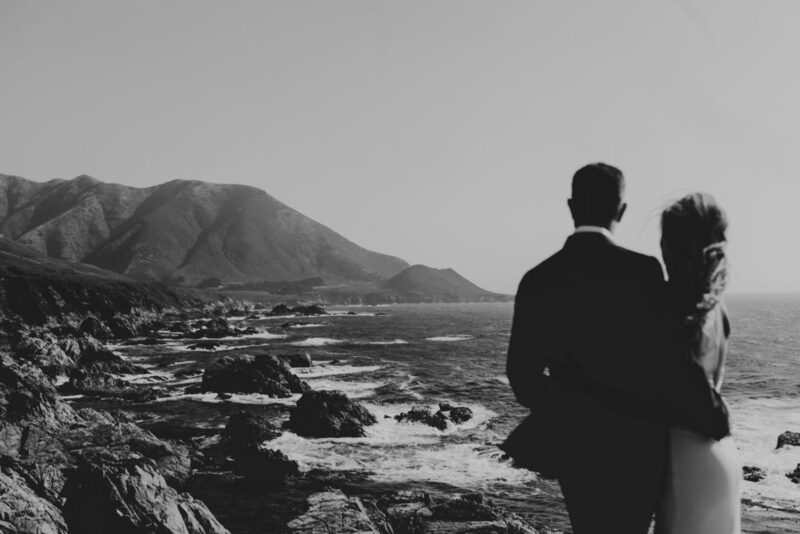 Contact us for elopement package pricing and venue assistance. 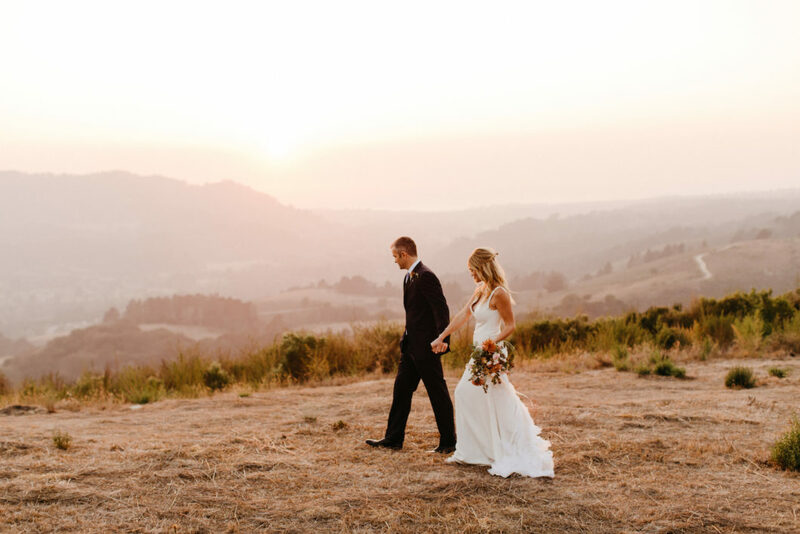 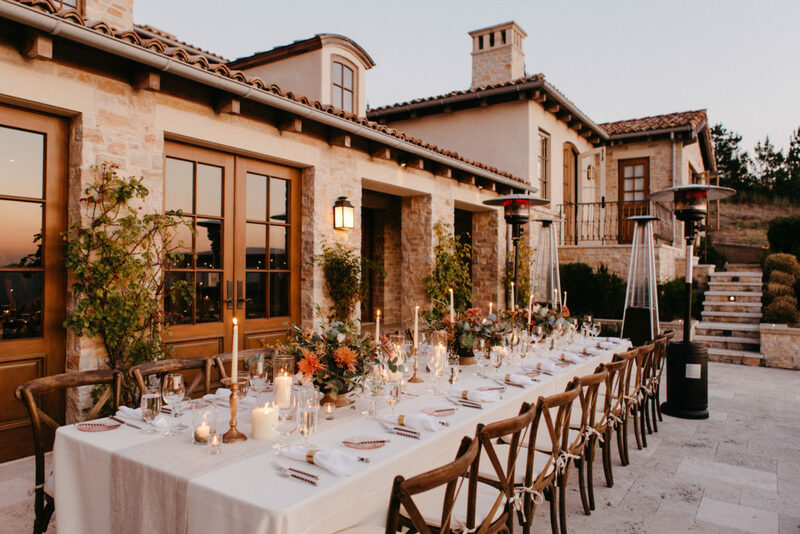 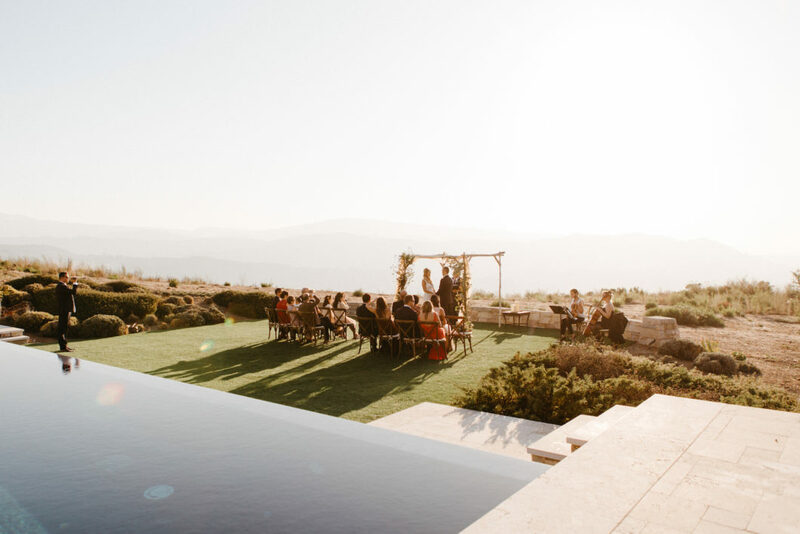 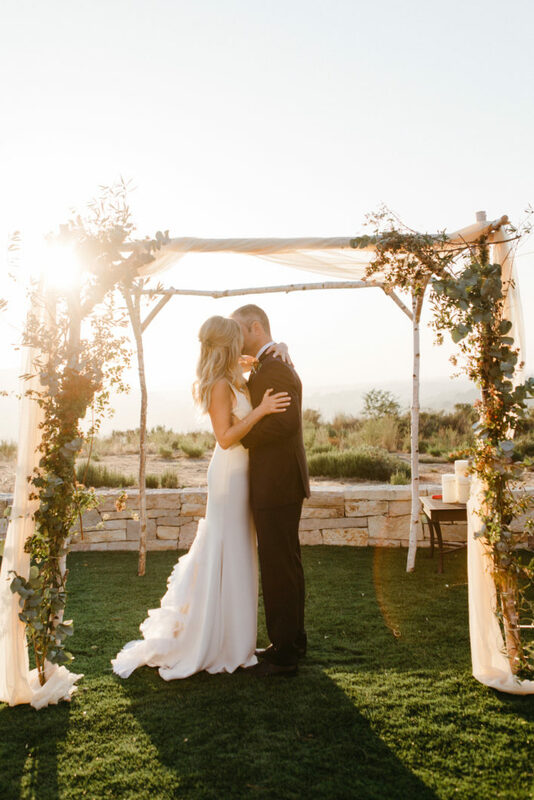 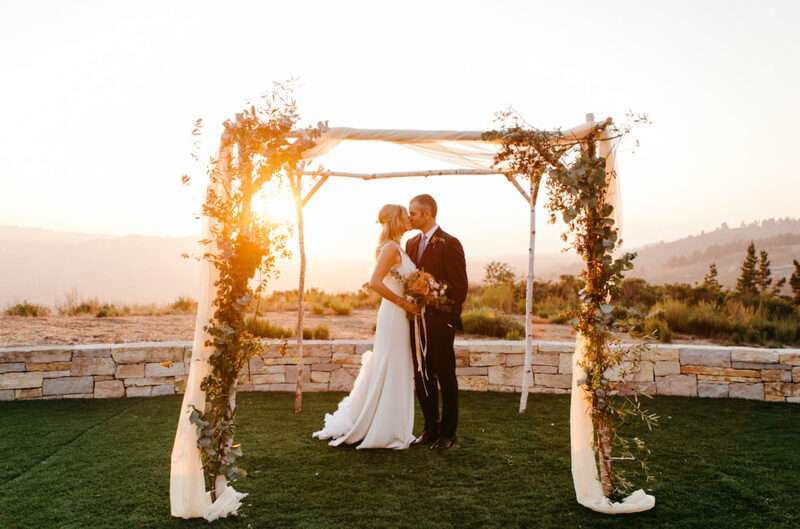 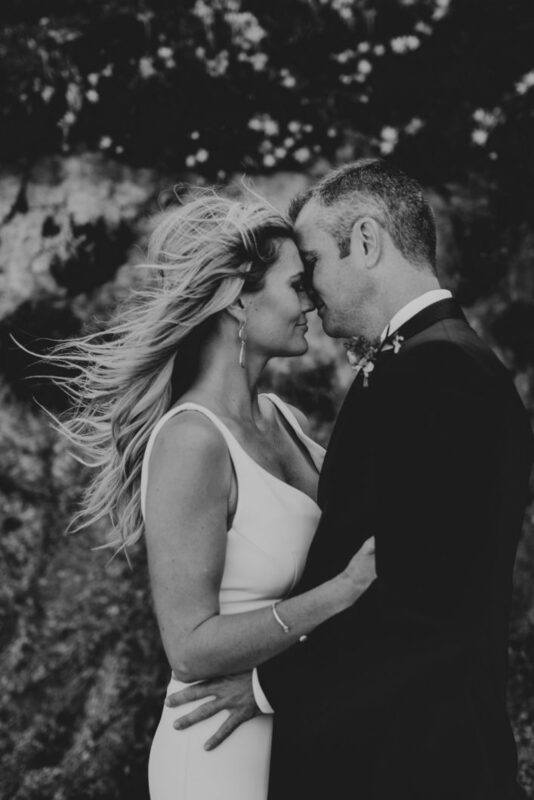 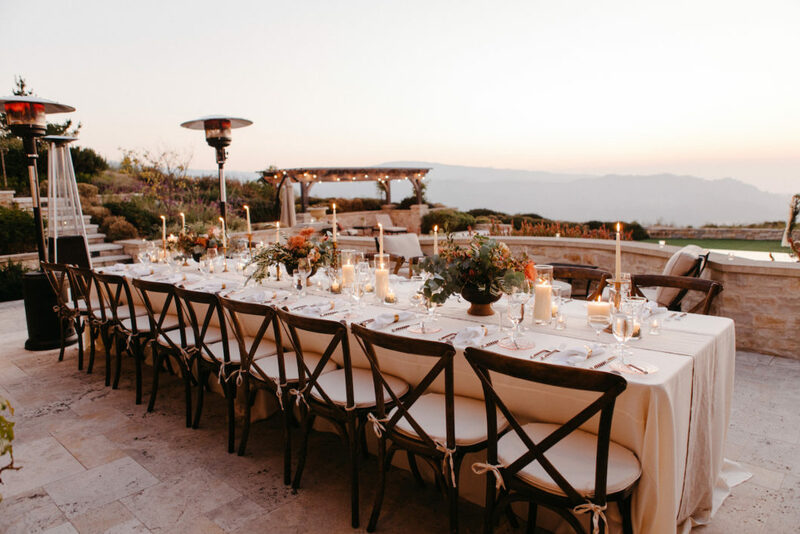 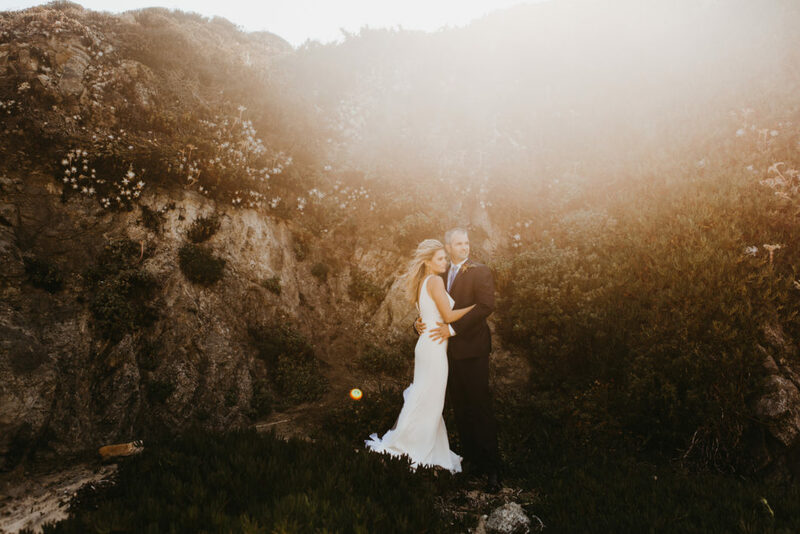 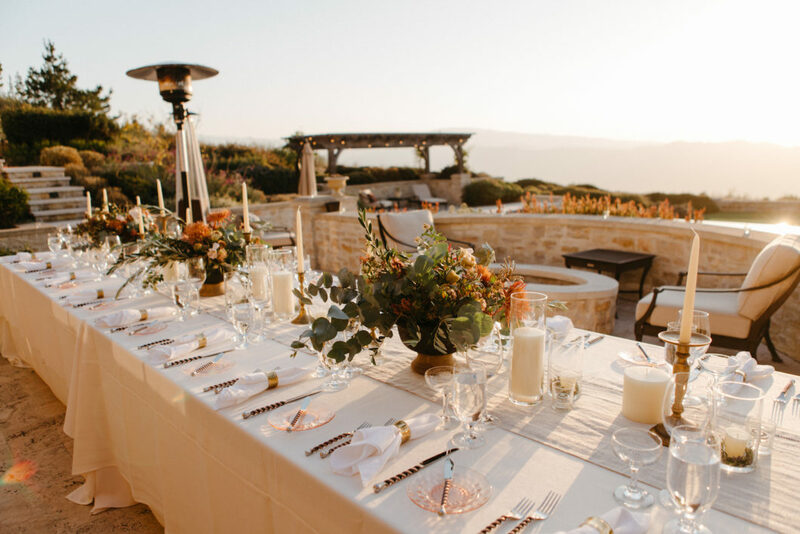 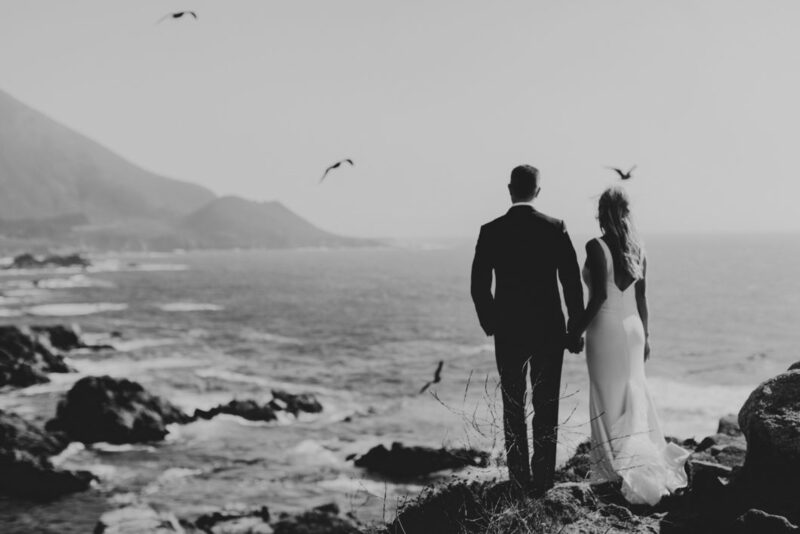 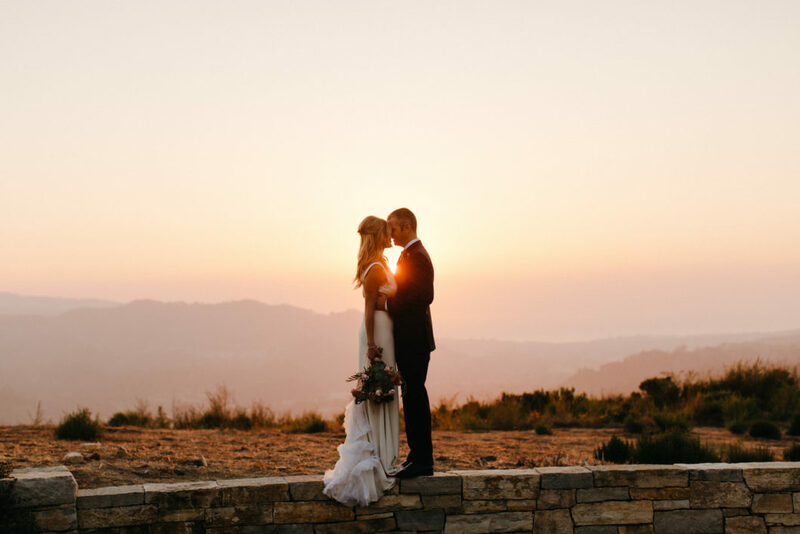 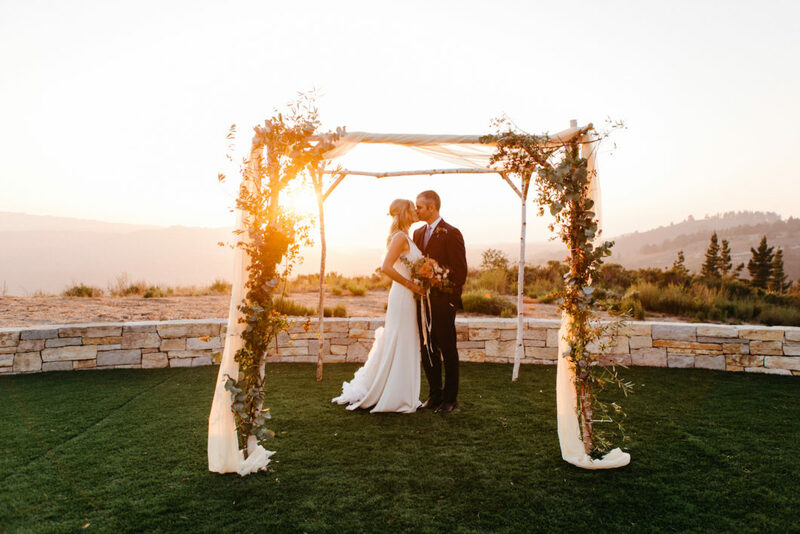 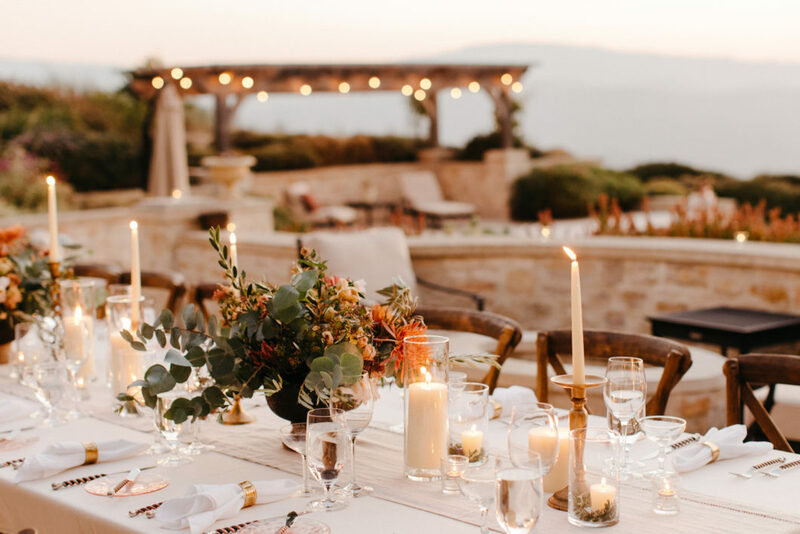 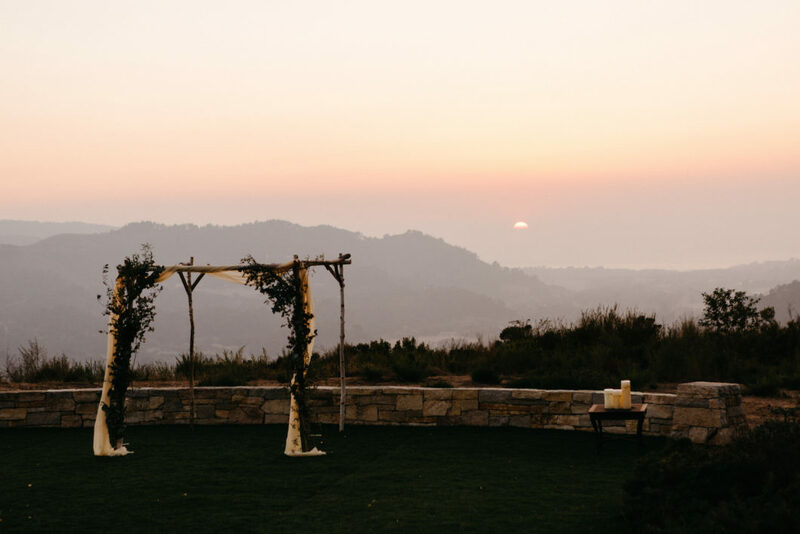 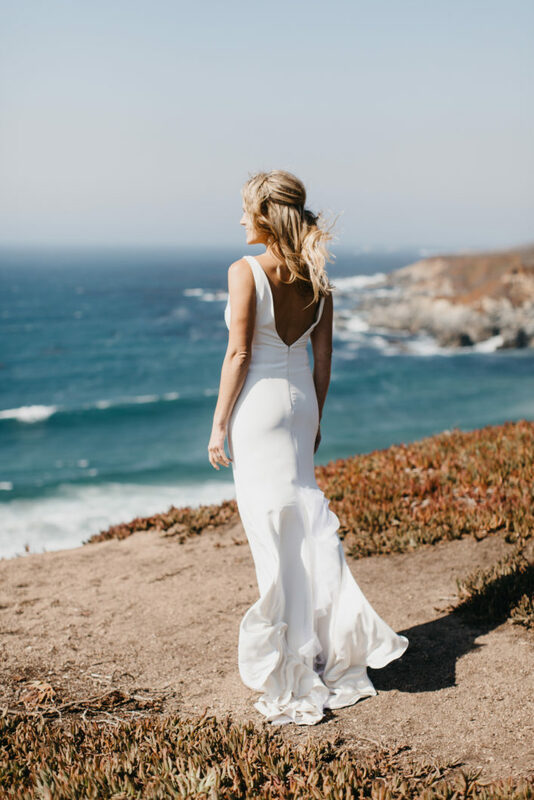 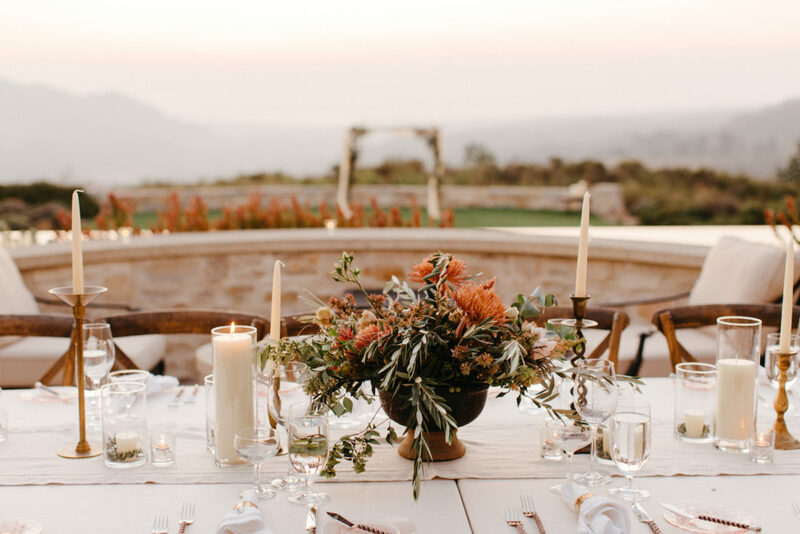 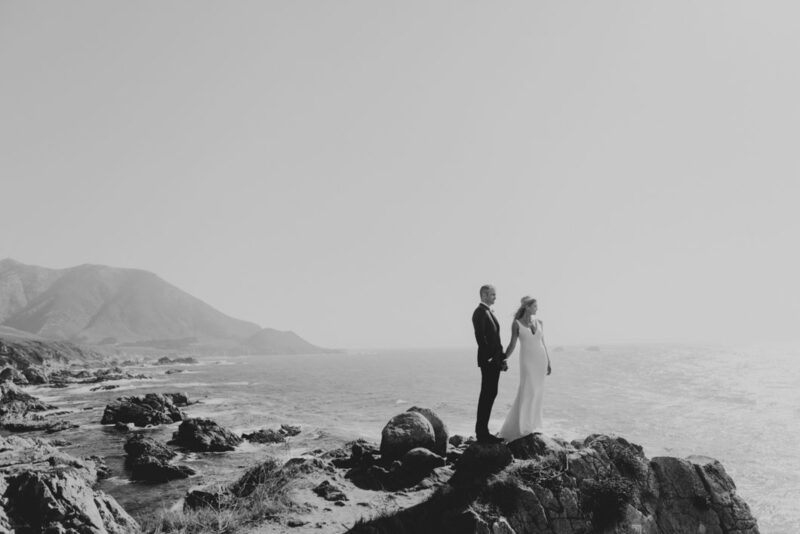 This destination elopement was at a truly stunning mansion called Chateau Renaitre located in Tehama in Carmel Valley. 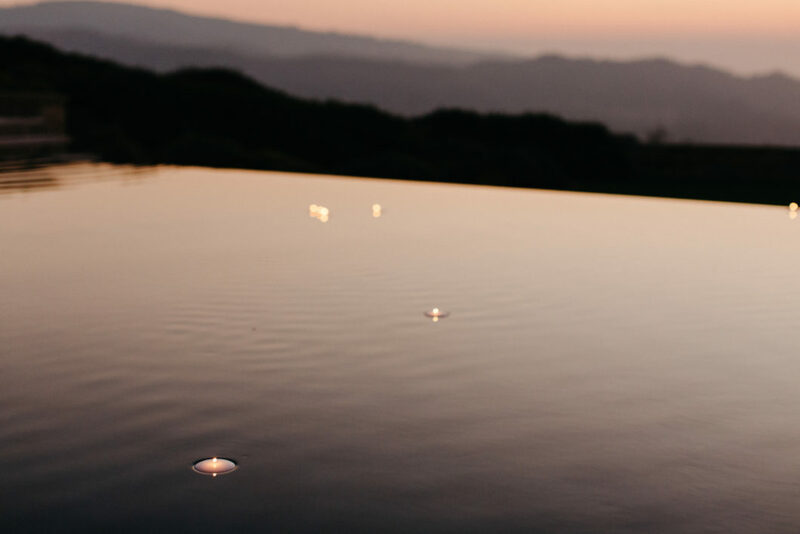 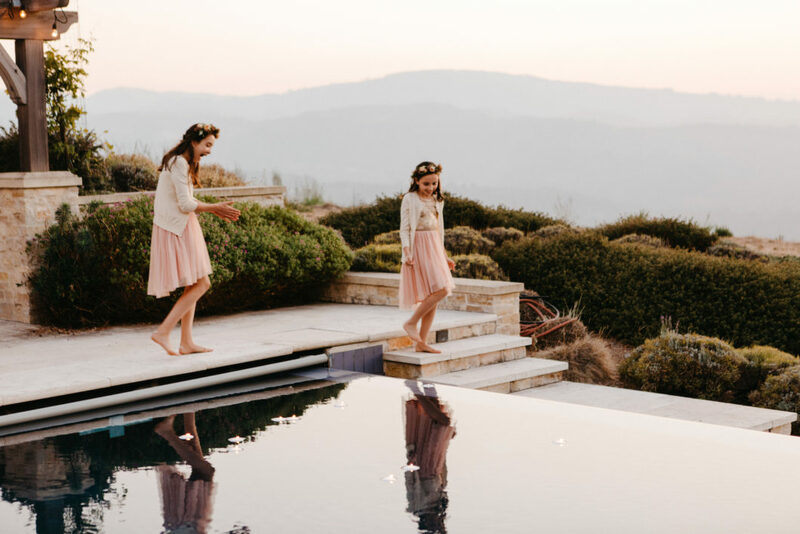 The estate is sprawling and perfectly andscaped, with an infinity pool overlooking the ocean in Carmel and the soft, rolling mountains of Carmel Valley. 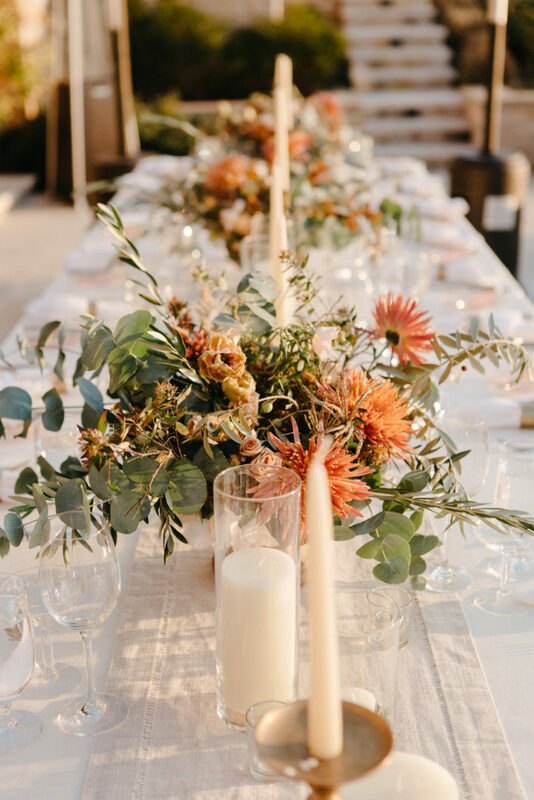 The table was set with natural a cream linen tablecloth and a natural linen runner. 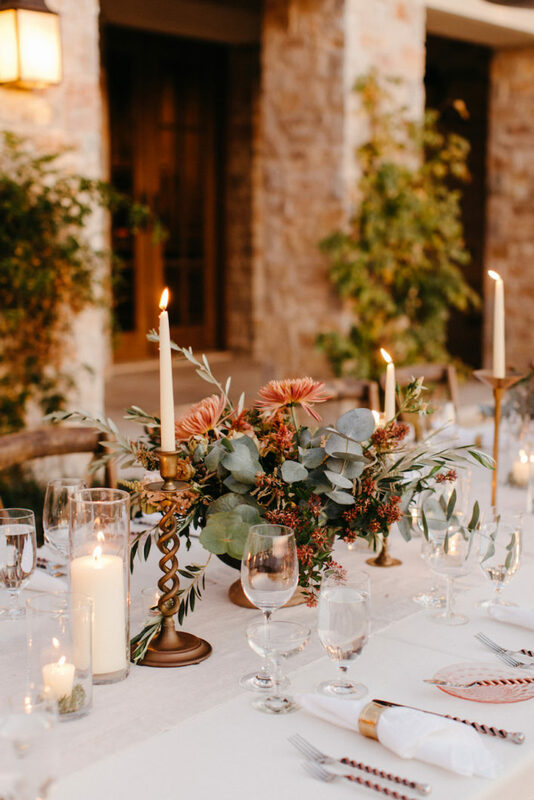 Pillar candles in varying heights along with vintage brass candlesticks added drama, with a few lush arrangements in fall colors. 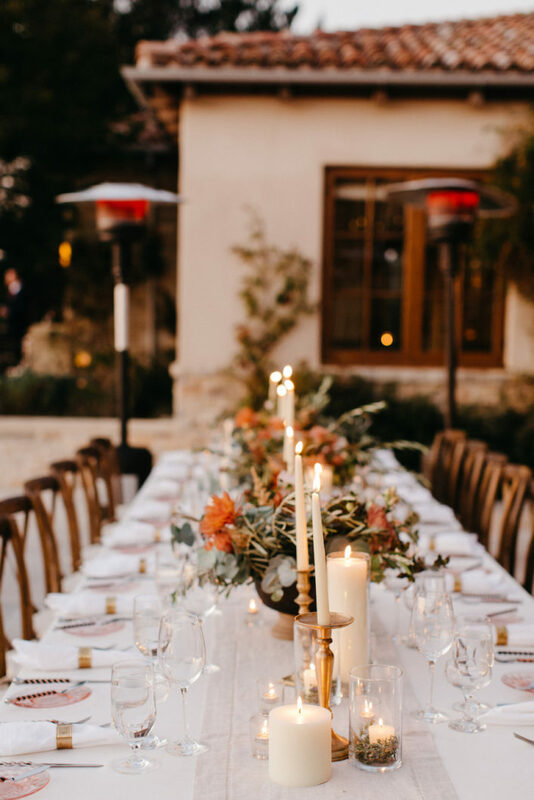 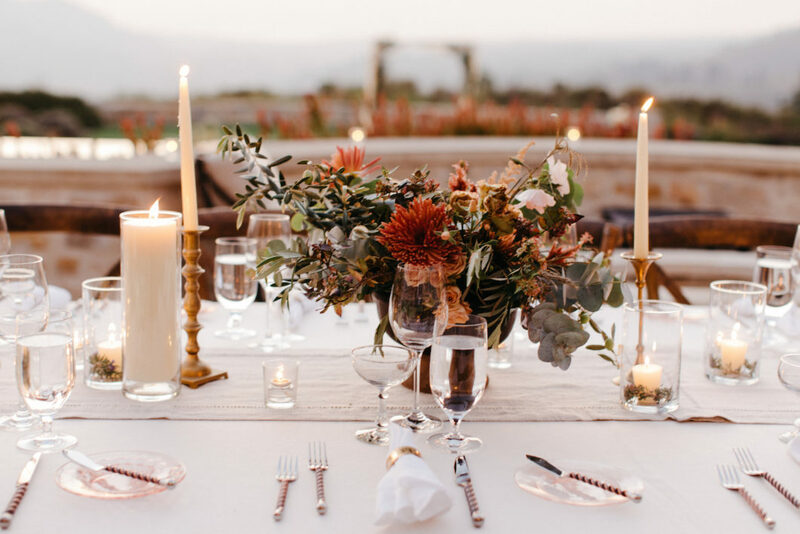 Our vintage blush pink glass plates softened the table, with copper flatware and copper chargers.